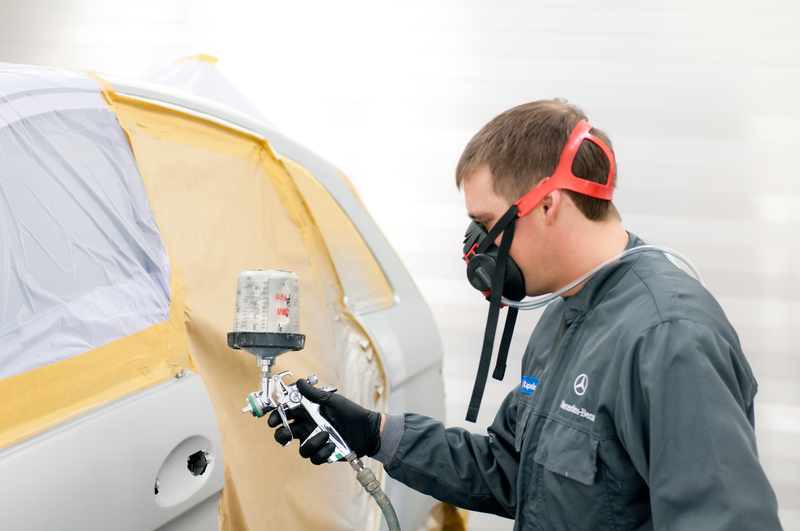 Paintwork of first-class quality with the worldwide leading gloss paint producer PPG. from PPG-company. We only trust specialists because painting is a confidential matter and you should do it as well. Our staff is state-of-the-art technology and it is skilled in various techniques whether glossy or matt varnishing. For that, our staff is trained constantly and through there it achieves the highest customer satisfaction. ....in fact: ,,rework-painting" is a professional repair of paintwork which is limited to the location of the damage. As a consequence that technique optimizes costs and saves money at the same time in connection with a high-quality result. Convince yourself and try us out!